Mixing system for cementoplasty and vertebroplasty. The loss or reinforcement of bone tissues often requires to fill the bone defect using a phosphocalcic or acrylic bone cement. 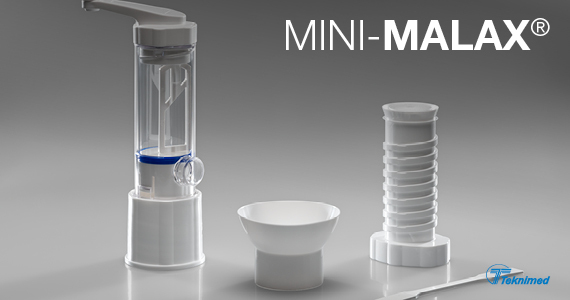 The MINI-MALAX® system provides a perfect mixture of cement. – In cementoplasty for treatment of fractures or cysts by percutaneous surgery. – In vertebroplasty for treatment of compressive vertebral fractures. MINI-MALAX® can be associated with Teknimed vertebroplasty needles. The device is cleared to be sold in US market.